Luckily the game supports the common-as-mud Atari 2600 tennis controllers, so off to ebay I went, and a few days later I became the proud owner of a refurbished pair of analogue paddles. My thoughts? Well, after playing Panic Analogue (and the few other paddle supported games) over the weekend, I have completely fallen in love with them - nothing beats the fun to be had by twiddling a knob back and forth. I see now why H Macaroni and Redcrab designed the game for paddles only, the response you get from them is really unique. It's like the difference between playing a breakout game with a mouse or joystick - analogue is the way to go, every time. But that's enough about the controls - what about the game itself? Playing either single player (or hot seat competitive two player), the action is centred around the endeavours of Redhead; a poor little chap stuck in a cave. To keep him alive you need to catch falling water droplets in his mouth, whilst simultaneously keeping his torch alight by catching falling fireballs (presumably so he can see the water) - and of course the trick is to not eat the fire or let the water put out your torch. Switch between mouth and torch states (by pressing fire on the paddle) at the wrong time, or letting the droplets hit the floor costs one of your three lives. It's simple, Kaboom! style stuff, but incredibly well-executed and presented, with multiple suitably cute chip tunes during play and Redcrab's arcade quality graphics and characterful animation. After a good deal of practice, I can now get as far as stage nine without too much effort - and this is where the design shines. Levels one through to seven introduce you to the basics, slowly increasing in speed and swapping between fire and water more frequently. 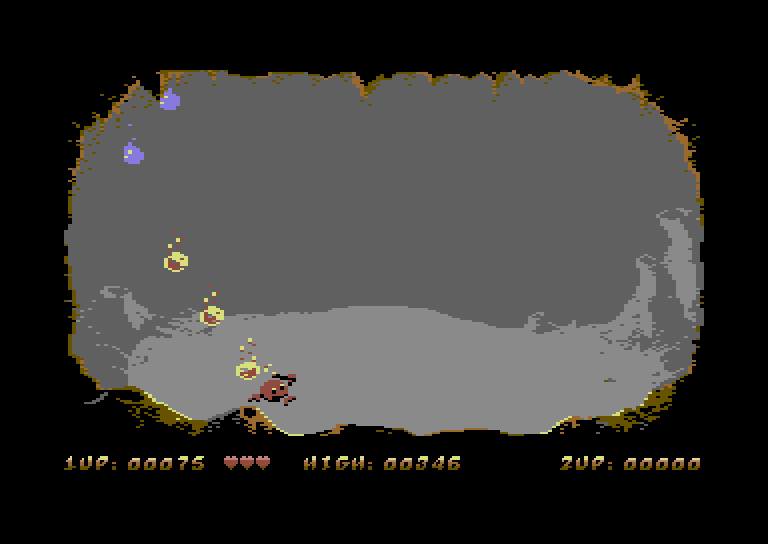 However, at level eight it slows back down again - but instead of easy to follow constant streams of falling elements, they are more randomly placed across the screen with gaps of different sizes between them, resulting in some titular panic gameplay as you rush back and forth trying to catch them all. You really have to get in the zone to beat the game. This looks very nice! Hope it will be out on cartridge in the end. 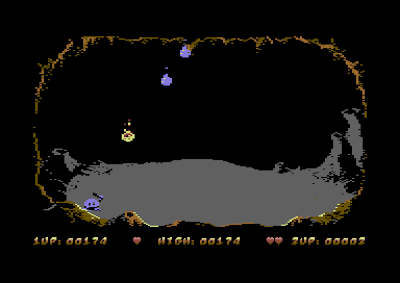 You should play Lemans for the C64. One of the best games to be played with paddles. 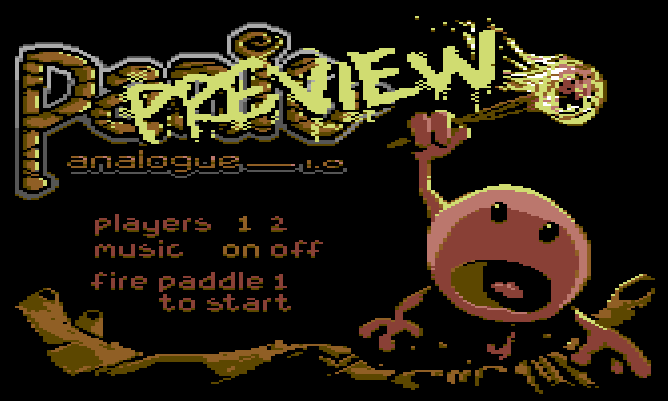 Yes Flemming - this will definitely be getting a cartridge release in the near future. I'm currently trying to find a source from whom to purchase paddles in bulk, so I can offer them for sale with the game. This looks awesome. Reverse Ikaruga :) I haven't tried a paddle on C=64 since a submarine game at a birthday party in the 80s.